To answer your question, the shop that restored the car is in Paso Robles. Actually it is just out of town between Paso and San Miguel. Santa Maria is about an hour and a half away. I will be in Santa Maria tomorrow with the car as I am going to be displaying the car and sharing my story at the Cruiz'n For Life car show and cruise. If you park and get a seat on Broadway about 1PM you will see me go by in the cruise. Then the car goes back to Paso for new head gaskets and some modifications. We are planning to race the car at the last race of the year at El Mirage (El Dirto) November 13 & 14. If you are in the area stop by and say Hi. Let me know you heard about me here on Landracing.com. The parts to fix the engine should be available tomorrow. Plan to work on it on Tuesday. If all goes well we will race at El Mirage on November 13 & 14, weather permitting. 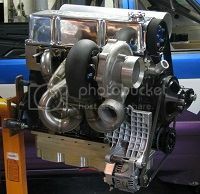 We would really like to see what this engine is capable of running on all eight. So I will post pics of the engine repair as we go. Sorry it's been so long but life get's in the way. The engine has been repaired and is back in the car. Got to drive it in a parade. Slow speed but got it all the way warm. Switched to a Edelbrock 600 carb. Modified it for blow through supercharger. Switched to a bigger cam. Clay Smith 284. Sounds real lumpy and cool. Lost a little on the low end but can't wait to see how it pulls on the high end. Did some light work on the heads to improve flow and reduce the chance of detonation. If we can figure something out for a Hans device we will run it at El Mirage in May. Look for an update next month. The car went into the shop this week to begin work on the "Race Prep" for El Mirage on May 14 & 15. If your in the area please stop by and say Hi! I will post pictures after I go up and see the car. If you are going to the "Gas Up" at the end of the month the car will be on display. Look for the guy with the "Got Studebaker" shirt. Be sure and say Hi and let me know you heard about it here. What an interesting story. Especially so because I grew up with the Burke family and that Avanti (a Kellison J4 Panther too) in San Gabriel. It has been over a decade since my last contact with Bill Jr. so not sure how the family is doing. Has Bill Sr. ajd Steve Burke stopped racing? I ran into Dennis Jones at the Gas Up and he told me that Bill Sr. is still alive and kicking but moving slowly these days. I guess old age has taken it's toll. Dennis told me that he is 93. As far as I can tell Steve is not involved in racing anymore. The car was raced from August 1963 until 2004 by the Burke family. Father, sons, grandkids, nephews and of course for 12 years by Mike Cook. The 239.208 record was set with Steve Burke at the wheel. 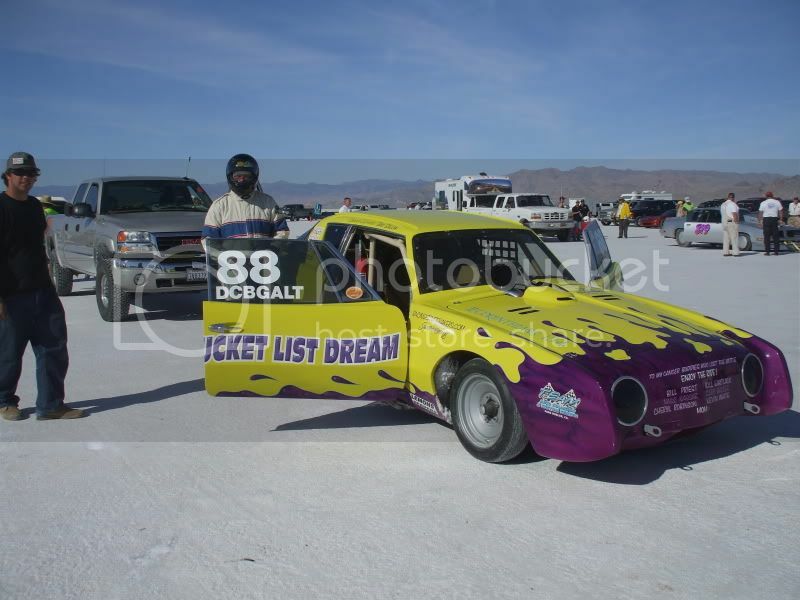 Mike set some El Mirage records witht he car that are still on the books. I hope to find out soon if Mike what records Mike set with the car at Bonneville. We were able to get the car to El Mirage in May. After making the safety crew happy I strapped my crew cheif from Bonneville into the car and he was able to get his rookie license requirements out of the way. A new induction system is being built along with a new engine for Bonneville. Hope to make it to Speed Week.